For his audience with the Pope, Al-Issa was accompanied by a delegation of seven people. The Vatican released a series of photographs of the encounter, during which the two men reportedly exchanged views on a number of “issues of common interest” including peace and global harmony, and discussed cooperation on issues of peaceful coexistence and the spread of love. At the end of the meeting, Pope Francis and Al-Issa exchanged commemorative gifts. 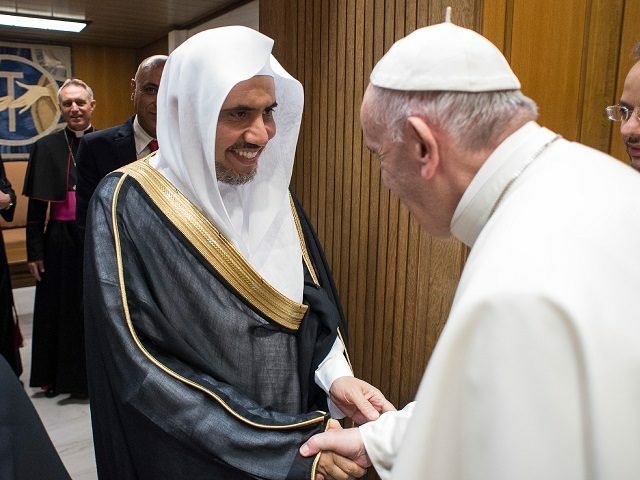 Al-Issa offered the Pope a symbolic gift representing Islamic civilization and its interaction with other civilizations, while Francis gave his guest a commemorative pen for the 500th anniversary of the construction of St. Peter’s Basilica and a medal commemorating the Pope’s fifth year in the chair of Peter.